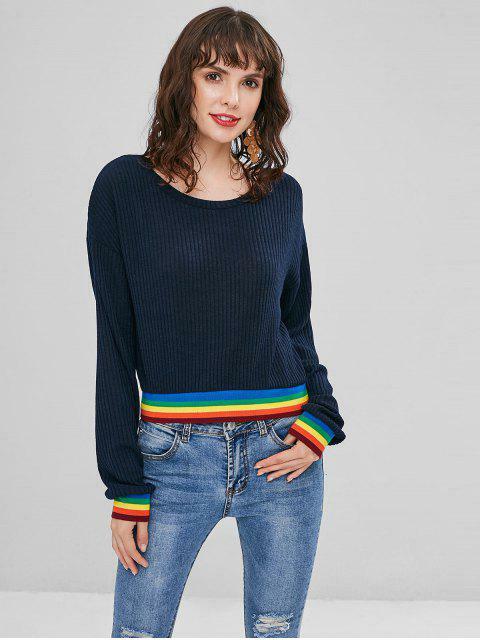 [55% OFF] 2019 Rainbow Trim Cropped Sweater Jumper In DEEP BLUE | ZAFUL .. 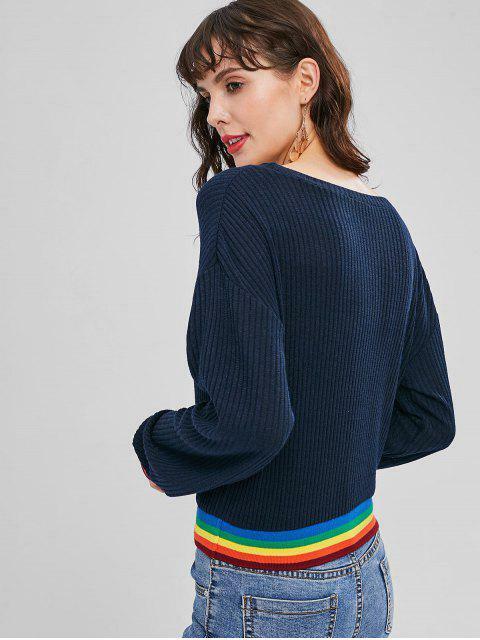 Beat the grey skies in this cozy rainbow sweater. 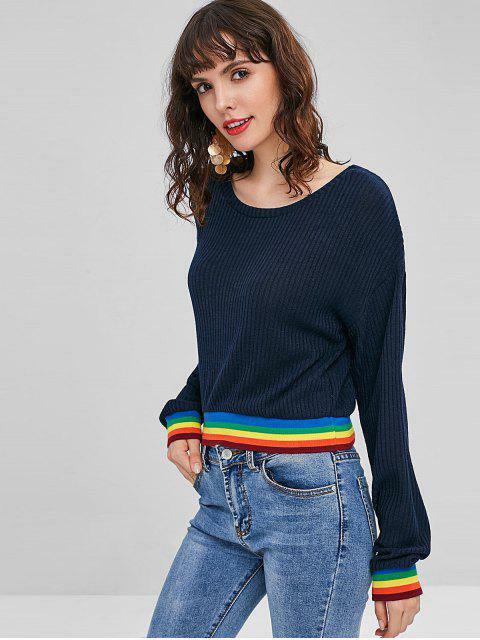 It features a soft, ribbed knit construction, a classic round collar, long sleeves with fitted, bold rainbow cuffs, a relaxed fit, and a cropped rainbow hem. Pair it with denim, leather, or velvet bottoms for chilly days.